Love miniature golf? Love candy? You&apos;re in luck. 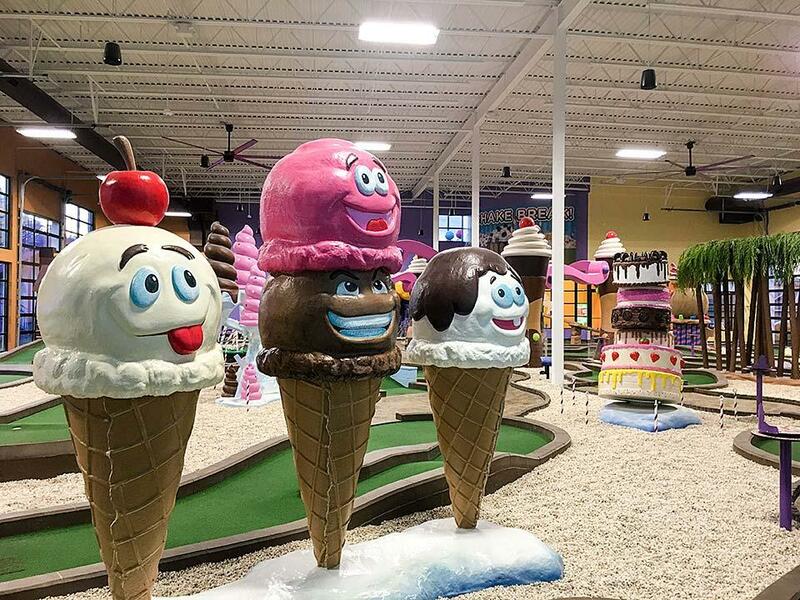 Pigeon Forge&apos;s Crave Golf Club combines two classic favorites – putt-putt and sweet treats – in one multi-level, candy-themed attraction. Covering more than 18,500 square feet, this family adventure features two 19-hole mini-golf courses – one indoor, one on the roof – for 38 challenging holes in all. On the Indoor Course, you and your family can play surrounded by an enticing array of decorations, including towering cocoa cliffs, sculpted ice-cream canyons, and giant sugar cones. At each hole, you&apos;ll find a Spin Zone table, where (if you wish) you can take your game to a sweet new level. Simply spin the disk, follow the instructions, and compete for delectable prizes (redeemable at the concessions counter). On the two-tiered outdoor course, you can golf your way from the ground to the roof! Head up the Rock Candy Mountain, across the Bubblegum Garden, and through the magical Jellybean Jungle. Multi-challenge holes give you several ways to win, so you can sweeten your game even more. It&apos;s all designed to test the skills of your entire family, from tots to teens to adults. Mini-golf&apos;s just for starters. Crave also features a mini-bowling alley (ideal for little ones and grownups alike), a candy shop stocked with scrumptious treats, and a gourmet milkshake bar where you can create your own delicious drinks. Open daily (until midnight on Fridays and Saturdays), Crave Golf Club is located at 2925 Parkway in Pigeon Forge, between lights 4 and 5. Ready to expand your mind and have a blast while you&apos;re at it? Visit WonderWorks, the three-story upside-down mansion housing more than 150 interactive exhibits. Fully encase yourself in a bubble in the Bubble Lab, spin in multiple directions at once just like a real astronaut, hunker down in a hurricane hole (with 65-mph winds), and experience the stunning effects of the 1989 San Francisco earthquake. Then top it all off with the popular "Wonders of Magic" illusion show (additional charge). Located at 100 Music Road, Pigeon Forge, WonderWorks is open daily from 10 a.m. to 9 p.m.
Upper River Rafting: an exciting 6.5-mile trip over more than 70 churning rapids ranging from Class 1 to Class 4, where you&apos;ll get to splash through foamy waves, maneuver around jutting rocks, and surf down exhilarating drops... all in a rugged 7-person raft with an experienced guide to assist you. Designed for rafters who are at least eight years old and weigh at least 70 pounds. Extreme Upper River Rafting: much like regular Upper River Rafting but in a smaller, four-person raft (three rafters plus guide)... with bigger, meatier waves, more rapids, and faster dynamics. Ideal for thrill-seekers, ages 12 and up, who know how to swim and (preferably) have rafted before. 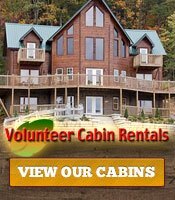 Lower River Rafting: a leisurely 1-to-1.5-hour trip through the gorgeous Pigeon River Gorge. You and your family will float about 5.5 miles amid spectacular scenery, with plenty of opportunities for playful splashing and water fights. Ideal for families with younger kids (ages 3 and up). Inflatable Kayaking on the Lower Pigeon River: your chance to drive your own boat, with guidance from a kayaking veteran. Rip-roaring excitement for beginners and seasoned kayakers alike (ages 12 and up; must be able to swim). 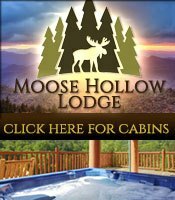 You can even arrange for a combo package, rafting both the Upper and Lower Rivers. All trips are guided by experts to ensure a safe, fun experience. 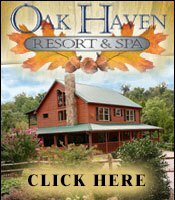 Headquartered at 3299 Hartford Road, Hartford, Tenn., Smoky Mountain Outdoors launches its Upper River trip in early March and its other trips on April 30. 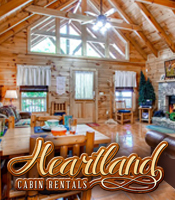 Reservations are strongly recommended, so book now – online, by phone, or in person. Does your family love jumping, leaping, soaring, climbing, and flying high? Bring them to TopJump Trampoline Park and Climbing Center in the middle of Pigeon Forge, close to everything. Here they can bounce on state-of-the-art trampolines, flip into giant airbags, safely scale super-high climbing walls, plus play dodgeball, basketball, and today&apos;s hottest new arcade games. There&apos;s even a special Kid Zone for younger tots. Not to mention a large new Top Ninja course, loaded with challenging obstacles for youngsters and grownups alike. Open seven days a week, TopJump is located at 3735 Parkway in Pigeon Forge, between lights 8 and 10. Walk-ins are always welcome, but it&apos;s best to book ahead (especially for Clip &apos;n Climb, the popular climbing zone). All this and more awaits you here in the spectacular Smokies. So, gather the family, hop in the car, and visit Pigeon Forge now.